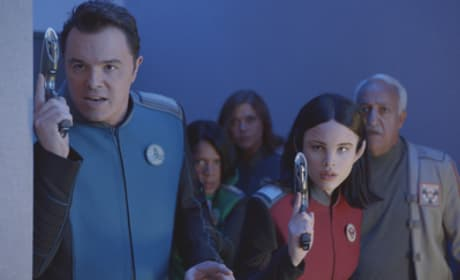 Captain Ed Mercer (Seth MacFarlane) addresses his senior staff. 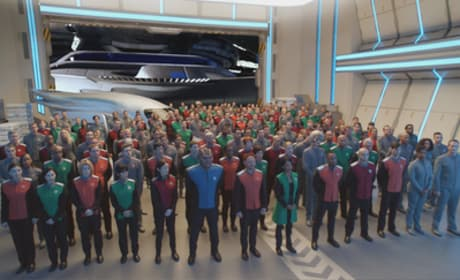 The entire crew of the U.S.S. 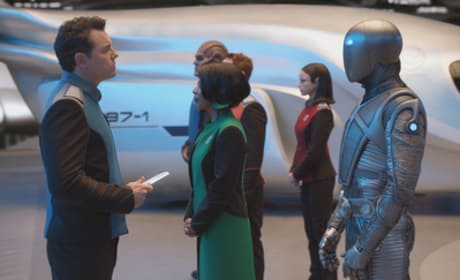 Orville meets its new captain, Ed Mercer. 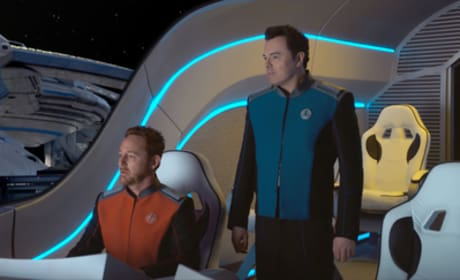 Helmsman Gordon Malloy (Scott Grimes) and Captain Ed Mercer (Seth MacFarlane) shuttle to The Orville. 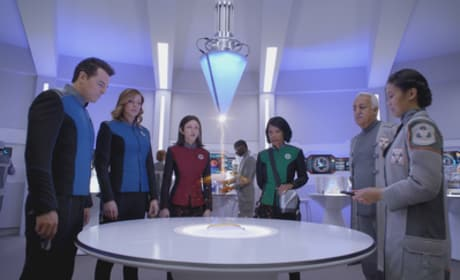 The science team at Epsilon-2 demonstrates their time-accelerating ray on innocent fruit. 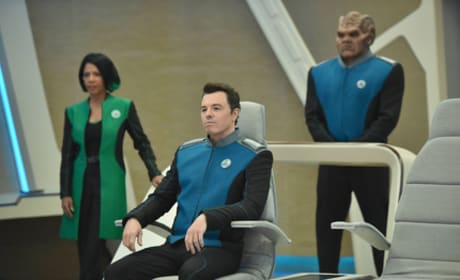 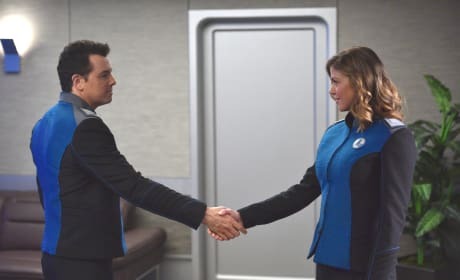 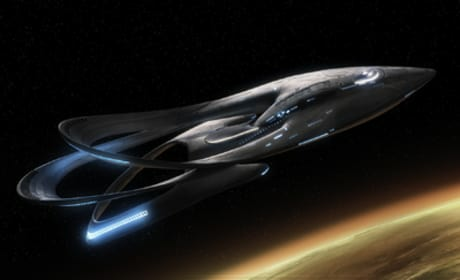 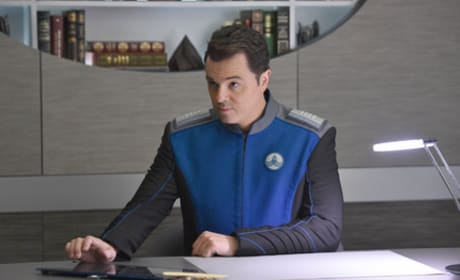 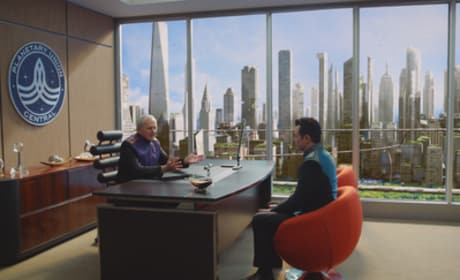 Ed Mercer (Seth MacFarlane) meets with Admiral Halsey (Victor Garber) and realizes a life-long dream when he is given command of his own ship, The Orville. 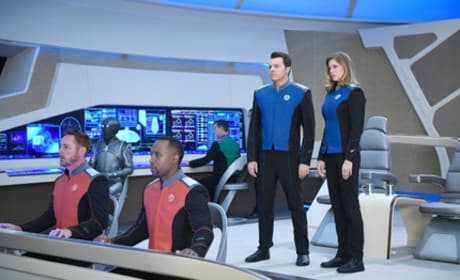 Captain Ed Mercer isn't happy to find out his new First Officer is his ex-wife on the series premiere of The Orville.